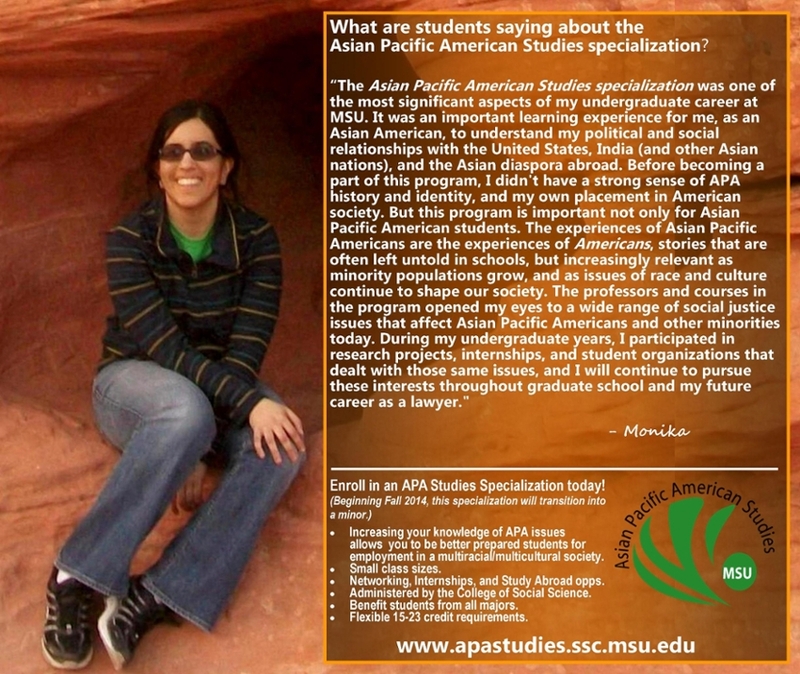 “The Asian American Studies Specialization offered me the critical lens to challenge my coursework and identity at MSU. Through irreplaceable mentors and a supportive department, I was equipped with the knowledge of the unique experiences of the Asian American community, and acquired the tools to promote social justice in our racialized and gendered social system. The APA classes were a safe space to talk about the stereotypes that hinder Asian Americans, and the peer connections were healthy for my evolving APA identity.